Dr. Engel initiated the two-year Rutgers Winter Turf Management Course in 1962, and as program administrator and as an instructor, he graduated more than 1,000 students. 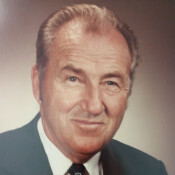 The native of Nebraska earned his doctorate at Rutgers (1951) and devoted his life to turf development. His research focused on improving the quality of turfgrasses, and he spearheaded early research in the areas of weed and insect control. Dr. Engel’s efforts gained universal recognition and in 1993, he won the USGA's Green Section Award. During his early years in New Jersey, Dr. Engel pioneered the concept of turfgrass visitation service, conducting consulting visitations with superintendents at MGA and NJSGA clubs. These visitations became the basis for the current USGA Green Section Turf Advisory Service. Through his 40-plus years of work, Dr. Engel received many honors, including the GCSAA Distinguished Service Award, election into the New Jersey Turfgrass Hall of Fame, Professor Emeritus from Rutgers University, and the John Reid Lifetime Achievement Award from the MGA Golf Course Superintendents Association.